Tim Hall is an educator, artist, and entrepreneur, from Detroit, MI, who now resides in Boston, MA. He began playing alto saxophone at the age of 10. In college, Hall found poetry and used this form of creative expression to share his thoughts on paper. Tim Hall draws inspiration from his lived experiences - charting the nuances of blackness, masculinity, and the beauties of life. As a musician, Hall has shared stages with world-renowned recording artists such as The Nappy Roots, Carolyn Malachi, Bilal, Chris Turner, and Aloe Blacc. His poetry has been heard at Boston's Hub Week, The Museum of Fine Arts, Berklee College of Music, Outside the Box Festival, Bridgin' Gaps Festival, and many other venues and poetry slam communities around the Boston/Greater Boston area. ​Hall currently works as a at Berklee College of Music as the Assistant Director of the Career Center, is the co-owner of HipStory - a digital media production company dedicated to creating and showcasing the work of marginalized identities within media, and Events Coordinator for BAMSFest. Additionally, Tim can be found performing with local artists Cliff Notez, Oompa, VQnC, and Will Dailey, as well as session and work-for-hire opportunities. Most recent, he was nominated for “Session Musician of the Year” by the 2018 Boston Music Awards. 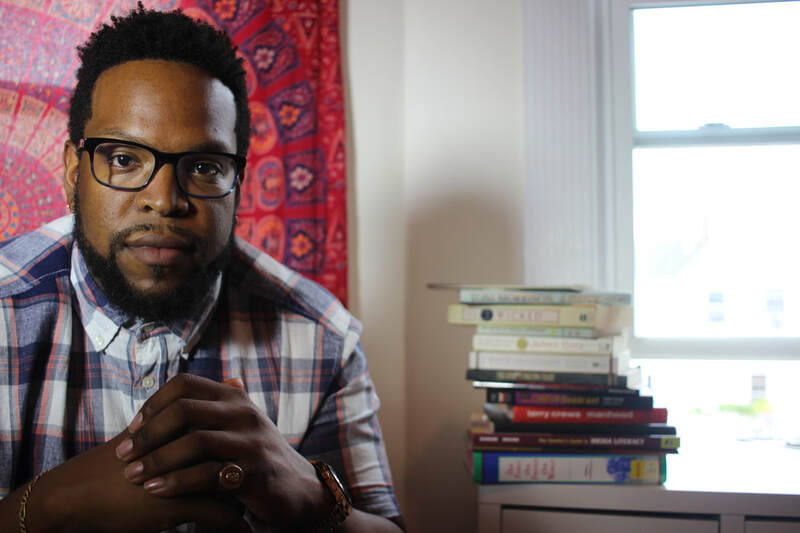 Tim Hall’s work can be found in his self-produced spoken word EP entitled Colors Of My Soul, and in his self-published book titled Trust The Process, both of which released in 2016.